Spring Break is here and Summer is just around the corner! With outdoor fun on the horizon - and a HUGE pool party at this year's Annual Retreat in Scottsdale, AZ- we wanted to bring you information about swimming safety. Our guest blogger, Angela Tollersons, tailored this article to families who have children with autism. Did you know that some people in our CCA community also have autism? If so, these tips are especially important to check out. We welcome these suggestions and hope you can incorporate them into your fun, spring and summer plans. Next month, April, is Autism Awareness Month. The benefits of swimming for children with autism are numerous. Swimming can improve your child’s cognitive function, provide a positive social outlet, and get your child excited about physical activity. 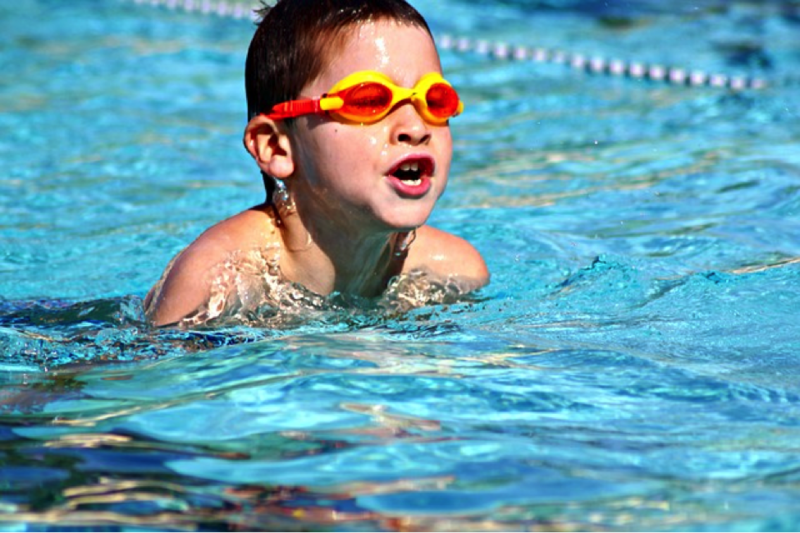 And since drowning accidents are extremely prevalent for people with autism, strong swimming skills can prove to be a powerful tool for keeping your child safe for life. It’s important to make your child’s first swimming experience a fun and relaxing one. Take things slowly the first few times at the pool so she’s not overwhelmed and try to go to the pool when it’s quieter and bit less crowded than normal. This way she’ll have plenty of space to move around and get used to the water without distractions. Teach her about pool safety by talking about how deep each part of the water is, showing her where the lifeguards are, and explaining to her that she should only be in the water if you or another designated adult is nearby. But not just any swim classes. An instructor who has been trained specifically for teaching special needs swimming classes will be the most effective teacher for your child. Some of these establishments even seek financial aid from third party organizations in an effort to make your child’s lessons more affordable. Make a mental note of you and your child’s needs before checking out potential swimming instructors. Do you want him to learn with other children or alone? What learning methods suit him best? Keep these things in mind when choosing a program for your child. A common practice for parents of children with special needs is to make it clear to their child that swimming safety and water safety are two completely separate things. While your child might understand the importance of swimming safety, she’ll likely only associate those rules with being in the pool you frequent together. What she might not realize is that these rules apply to other bodies of water, too. This is why you must talk to your child about water safety too. Make sure she knows that she should never go near water without an adult with her. While she already understands this rule for swimming pools and her swimming lessons, she should know that this also applies to other bodies of water like ponds, lakes, fountains, and even large puddles. When it comes to teaching your child how to swim, safety is the number one priority. Make sure they know the rules before they ever dip a toe in the water and you’ll both benefit from the joy and relaxation safe swimming can bring.